RAVENOL M 9 Serie Fluid is an automatic transmission fluid formulated using a blend of hydrocrack oils and PAO synthetic base stocks, together with special additives and inhibitors, to meet and exceed the specific manufacturer requirements as described below. 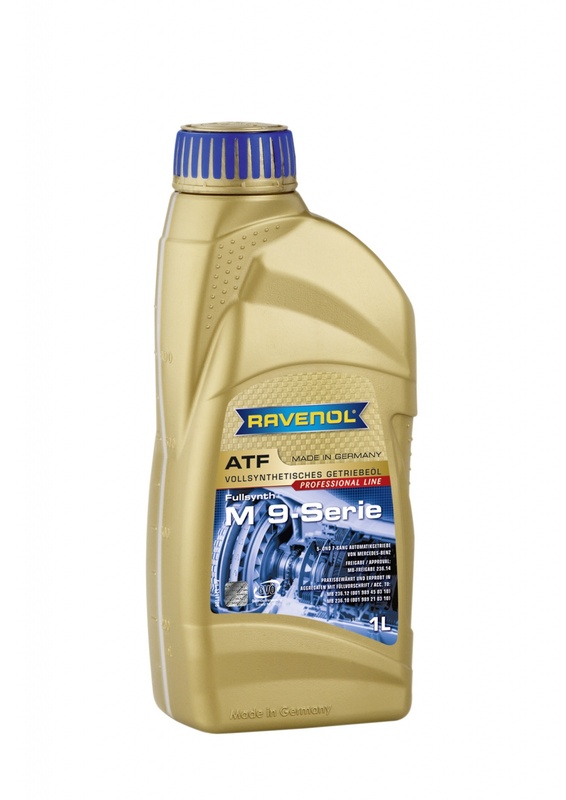 RAVENOL M 9 Serie was specifically developed to exceed the Mercedes-Benz requirements for use in the NAG2VSport transmission, 7GTronic (Template 722.9 / W7A 700 / NAG2), as well as for 5-speed transmission (Template 722.6 / W5A 580 / NAG1). It is backwards compatible for all earlier versions of Mercedes-Benz 4- and 5-speed automatic transmissions (Template 722.3, 722.4, 722.5) with the exception of 5-speed CVT-Automatic transmission (Template 722.7 /FAG) of the A-Class (W168) and the Vaneo (W414).